The type 2260 from +GF+ is a rugged, high performance ultrasonic secondary lightning protection level measurement transmitter, having transducer and processing electronics and a display/programming unit incorporated into a single housing. For small, stand-alone tanks the transmitter provides a simple 2-wire 4 to 20 mA output, with additional power relay contacts. It can be programmed using push buttons and the large, graphic display. For large and/or multiple tank applications versions with HART interface are recommended, communicating directly with a panel mount controller or PLC. The HART protocol can easily be used for programming these versions. 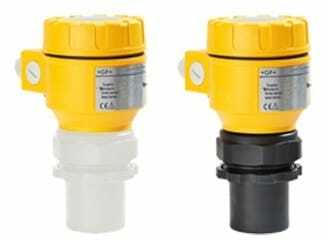 For hazardous areas the type 2260 Ultrasonic Level Transmitter is available with explosion proof approvals. The type 2260 Ultrasonic Level Transmitter is a rugged, high performance ultrasonic secondary lightning protection level measurement transmitter, having transducer and processing electronics and a display/programming unit incorporated into a single housing.